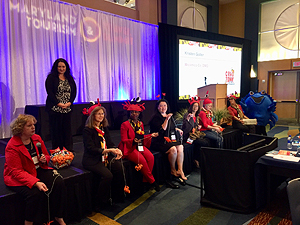 Contestants felt the pinch from the judges known as the “Big Crabs” during the first-ever pitch competition, “Crab Tank on the Choptank” at the 38th Annual Maryland Tourism & Travel Summit. “Crab Tank,” loosely based on the hit television show, “Shark Tank,” featured 10 contestants presenting their tourism marketing campaign ideas to the crabs in the tank. The "Big Crabs" included: Charmaine Singh of Reach Global, Vicki Osman of American Bus Association, Chris Adams of Miles Marketing Partnership, Mike DeAnzeris of Meredith Travel Marketing and Michael Haynie, former Chair of the Maryland Tourism Coalition. The winner receives $50,000 in promotional exposure by the Maryland Office of Tourism. For the full story, follow this link to the press release. Pictured: Kristen Goller, Tourism Manager for Wicomico County Recreation, Parks, & Tourism (standing) presents winning entry "Chase the Blue Crab" along with other county partners. On November 14, OTD presented the 2018 Maryland Tourism Awards at the 38th Annual Maryland Tourism & Travel Summit in Cambridge. The awards recognize excellence and major contributions in expanding the market of Maryland tourism products, maximizing opportunities to generate overnight stays, leveraging partnerships and showcasing Maryland as an exciting must-see tourism destination. 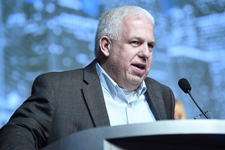 Commerce Secretary Mike Gill, President of Six Flags America and MTDB Board Chair Rick Howarth and TFA Managing Director Liz Fitzsimmons presented the awards. The Market Expansion Award went to Visit Howard County and Korean Society of Maryland for successfully offering a Maryland tourism product into a wider demographic and geographic market with their introduction of the Korean Way. The Maximizing Opportunities Award for successfully taking advantage of an event to generate overnight stays was presented to the Garrett County Chamber of Commerce and the Mountain Maryland Gateway to the West Heritage Area for the 50th Annual Autumn Glory Festival. The Transactionable Opportunities Award went to Worcester County Tourism, Delmarva Birding Weekends and Somerset County Tourism for successfully creating tourism products and programming to bring in revenue with their birding tours. And the Leveraging Partnerships Award was presented to Talbot County Economic Development and Tourism, Maryland Commission on African-American History and Culture, Talbot County Frederick Douglass 200 Committee, Anne Arundel County Frederick Douglass 200 Committee, Baltimore City Frederick Douglass 200 Committee, and Visit Baltimore for "The Year of Frederick Douglass," which packaged complimentary assets, such as byways passing by hotels, restaurants, shopping districts, etc. in order to drive revenue with overnight stays. 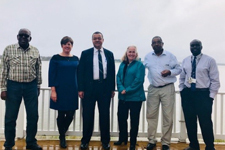 Liz Fitzsimmons, Managing Director, TFA, and Heather Ersts, Outreach & Partnership Coordinator, OTD, met with representatives of the Town of Eagle Harbor and Prince George’s County and other state representatives to discuss tourism-related economic opportunities for the historic town. A traditional African-American beach community founded in 1925, Eagle Harbor is known as “Paradise on the Patuxent." 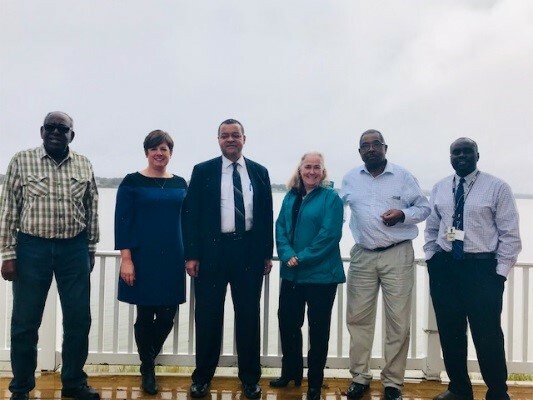 Representatives of the town, including Mayor James D. Crudup, Sr., consulted with TFA on ideas to expand the town’s economic and cultural assets while maintaining its historic character. On May 15, Governor Hogan signed Senate Bill 1154 which amended the Film Production Activity Tax Credit program. The highlights of the legislation were consistent authorized funding that increases incrementally to $20 million in FY 23 without a sunset so that funding continues at $20 million beyond FY 23, and the creation of a new category of qualifying productions for Maryland small or independent film entities (Maryland Small Films). Ten percent of the authorized fiscal year credit amount is set aside for eligible projects. 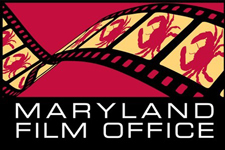 In FY 19, Commerce has $800,000 in tax credits available for qualifying Maryland Small Film applicants. For more information on the program, on how to qualify, and how to apply, please contact Jack Gerbes at 410-767-6343 or visit the Maryland Film Office website at www.marylandfilm.org. 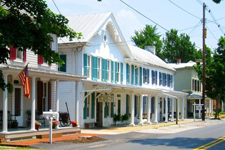 Join the Maryland Department of Housing and Community Development’s Main Street Maryland program for a two day training session November 29-30 and learn how to implement the nationally recognized Main Street Approach™, which offers a comprehensive revitalization strategy to attract investment to traditional commercial districts. You’ll study elements of each of the four areas of the Main Street approach – Organization, Promotion, Design, and Economic Vitality – and hear first-hand examples of the successful implementation of these initiatives. This training is ideal for local government staff, Main Street managers, board members and volunteers working to improve the economic climate of their downtowns. For requirements and registration, contact Melissa Carter at 410-209-5843 or melissacarter1@maryland.gov. Hunters in Maryland generate $401 million in economic activity, much of which is spent at locally owned businesses throughout the state. Business leaders from across the state came together in Annapolis to highlight this and other economic successes derived from hunting while announcing the formation of Hunting Works For Maryland. More than 65 organizations have signed on to be part of this free initiative. Members are advocates for public policies that support jobs and economic prosperity. As a grassroots organization, members promote the role that hunting and the shooting sports play in both the heritage and economic health of Maryland. More than 88,000 people hunt in Maryland each year, spending $3,000 annually on average and generating an economic impact of more than $401 million, and $32 million in state and local taxes. 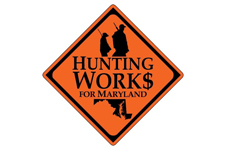 "In addition to generating tax revenue, hunting also supports thousands of jobs in the state of Maryland and draws as many as 19,000 out-of-state hunters each year as well," said Ruth Toomey, Co-Chair and Executive Director, Maryland Tourism Coalition. "Maryland hunters spend $50 million on trip-related expenses each year, and another $128 million per year on equipment." How can OTD help spread the word about your attraction or event? "Maryland Mondays" is the perfect way to help us help you. 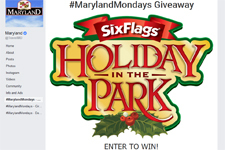 Each Monday, OTD launches a new “Maryland Mondays” ticket giveaway program across all of our social media channels, consumer newsletter, and weekly “Maryland Minute” radio spots. Combined, these channels reach thousands of potential customers each week. To find out how to get involved by providing tickets to your attraction for an upcoming "Maryland Mondays," email OTD’s Leslie Troy. For the latest on events and everything going all around Maryland, view the latest edition of Visit Maryland Now! here. Each week, the Maryland Minute provides highlights and insights on this weekend’s events around the state. Maryland Minute is featured on iHeart radio stations in Maryland and Washington, D.C. and on Baltimore’s WBAL-AM 1090.